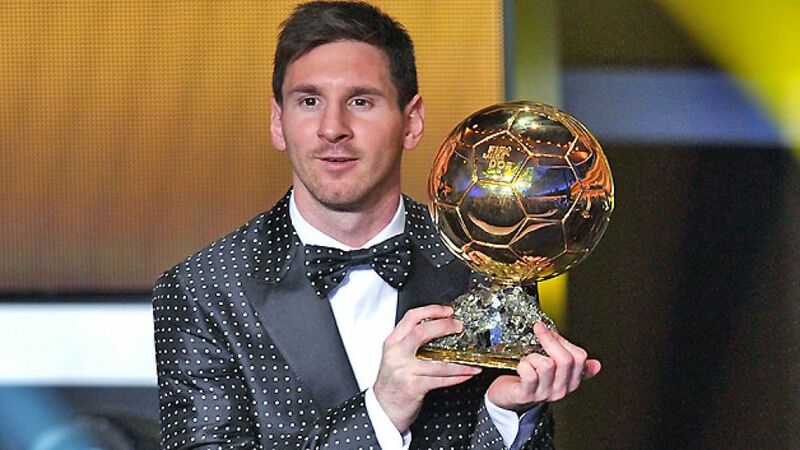 Munich - Freshly-crowned FIFA Ballon d'Or winner Lionel Messi, who netted an unprecedented 91 competitive goals in the calendar year 2012, has thanked former record holder Gerd Müller for providing the inspiration. The FC Barcelona superstar sent the FC Bayern Munich legend a signed a shirt bearing his famous No10 with the message: "To Gerd Müller, with respect and admiration and a warm embrace." Messi was awarded the FIFA Ballon d'Or as the world's best player for the fourth successive year on Monday evening in Zurich. The 25-year-old's 2012 tally overstepped Müller's previous record of 85 from 1972. According to Barca president Sandro Rosell, Müller's bestmark was an additional motivation for the diminutive Argentinean. Müller responded graciously, saying: "If a player scores close to 100 goals in year, there can be no two opinions about who's the best player in the world. He's an unbelievable player, a giant, but at the same time such a likeable and modest professional."